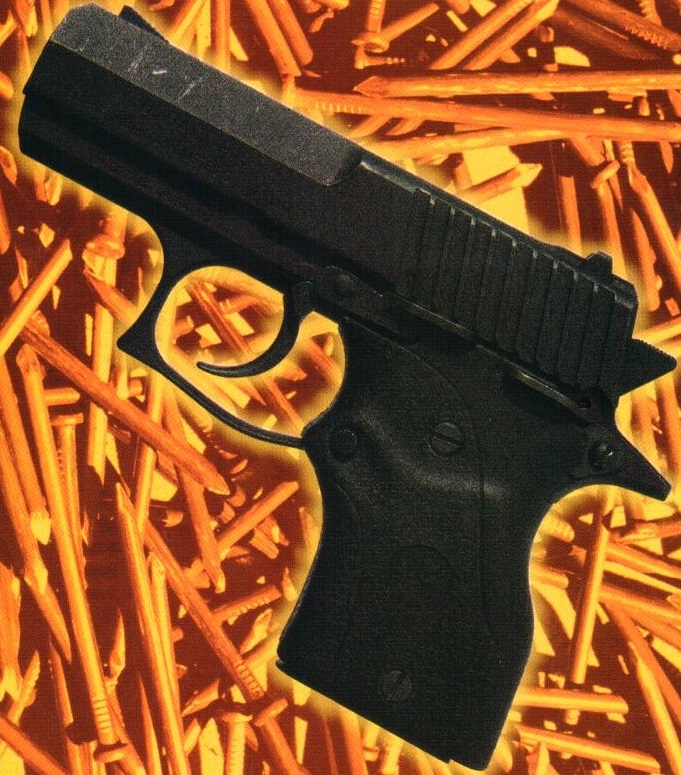 Just to be clear: all images in this post are from Modern Gun magazine, August1994. I use them without permission, and will remove the images if requested by the rightful copyright holder. So, first, the source. I was told that the cover of Modern Gun magazine (August, 1994) bore a striking resemblance to the Black Horse. This seemed true, and I was intrigued by how the cover didn’t name the gun in question. I hunted down a copy of the magazine on eBay and bought it to investigate further. Much to my surprise, the gun was not covered as a Sirkis design, but rather as the “IMI 945 Compact” in .45ACP, originally produced in 1992. There was a picture of it field-stripped, and it was a rather unique design. 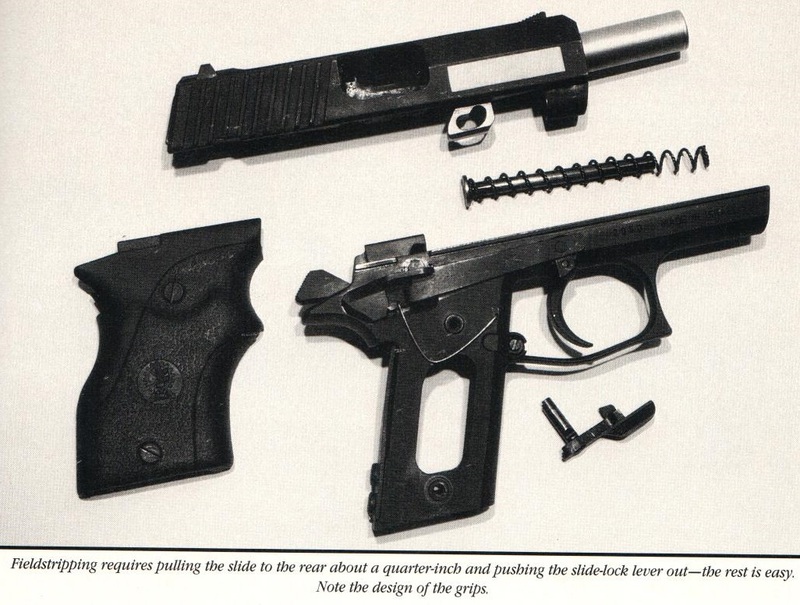 The general design stylings resemble an Officer-sized 1911, including the slide riding outside the frame, but the internals were closer to what you’d see from a CZ-75/Tanfoglio/Jericho (linkless barrel, no grip safety, double action). 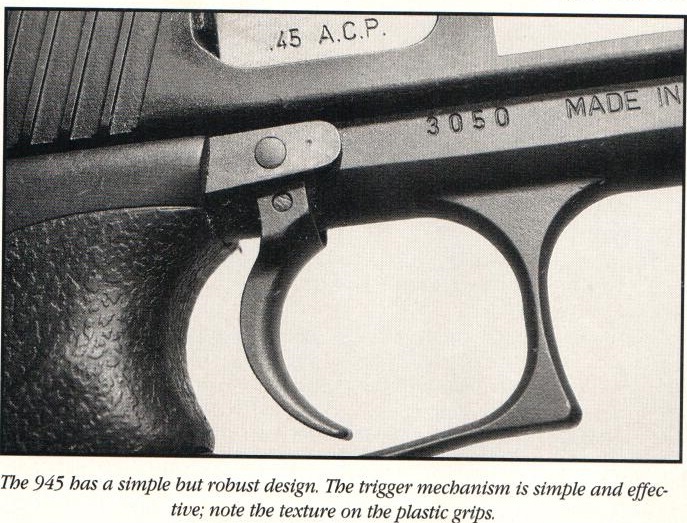 It also has that trademark Sirkis indentation at the back of the grip and his bowed-squared trigger guard, which I think lends significant credence to the theory that Sirkis was the original designer. Plus, it has a loaded chamber indicator at the back – shades of the Sirkis SD9! The 945 Compact took standard compact 1911 magazines, which was a pretty clever decision for a gun made in the early 90’s. In a way, you could think of the 945 Compact / Black Horse as a sort of all-steel predecessor to the BUL Impact, albeit I doubt they share much design DNA. Alas, due to being all-steel, it was also rather heavy for a compact gun. IMI promised that the production version would be lighter, but, unfortunately, there’s no evidence at all that this gun made it to production. It was supposedly a very nice shooter, so that’s certainly a disappointment. Now that we know about the 945 Compact, was there a full-size version coming out? 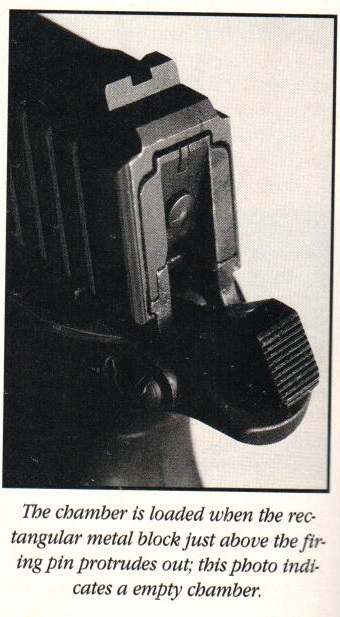 The information I have on the 945 “full-size” shows it as a typical double-stack 1911 with what appears to be a polymer frame. 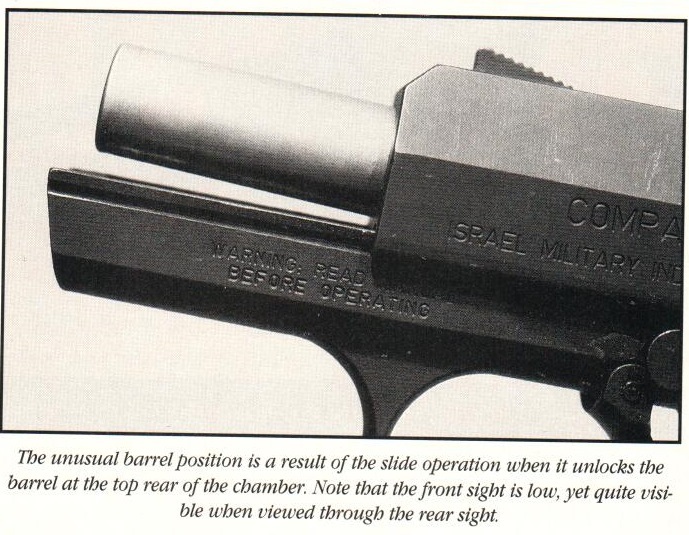 My pet theory is that IMI was going to source the frames from BUL and use the 1911 slides and barrels that they were already making. 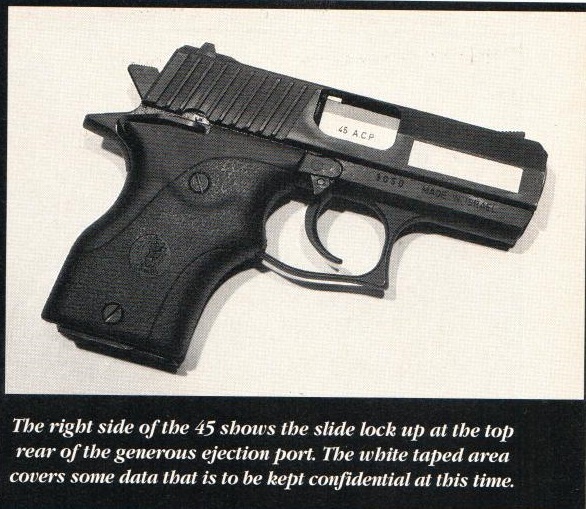 I guess it’s possible that they were planning on using the same operating system as 945 Compact, but the presence of a grip safety makes me skeptical. 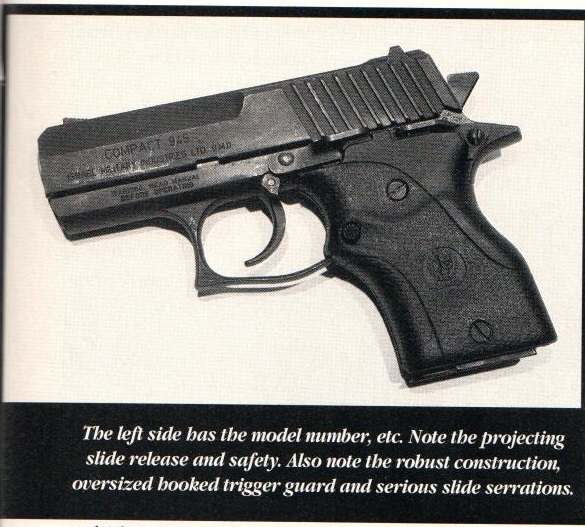 One other fascinating thing about the 945 full-size was the “multi-caliber” advertising – they wanted it be able to run 9mm, .40S&W, .45 ACP, and .357 Sig. If they had figured out a mechanism to be able to swap caliber with simple top end and magazine swaps, that would have been a pretty good marketing angle for a 1911-style gun. You gotta tell us more than that! As I was trying to sell the gun I stumbeled upon this website.